Three types of wrinkles, one lineless future. A total solution for all three types of wrinkles. 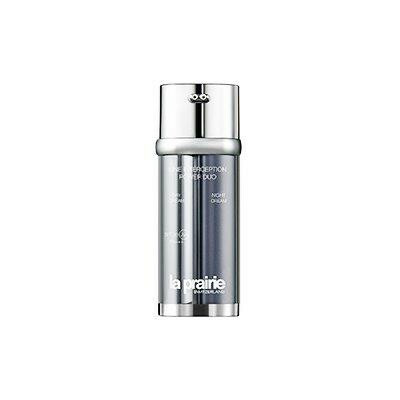 Emulating expert skin procedures, Line Interception Power Duo targets wrinkles at their inception and helps to smooth them where they have already appeared. 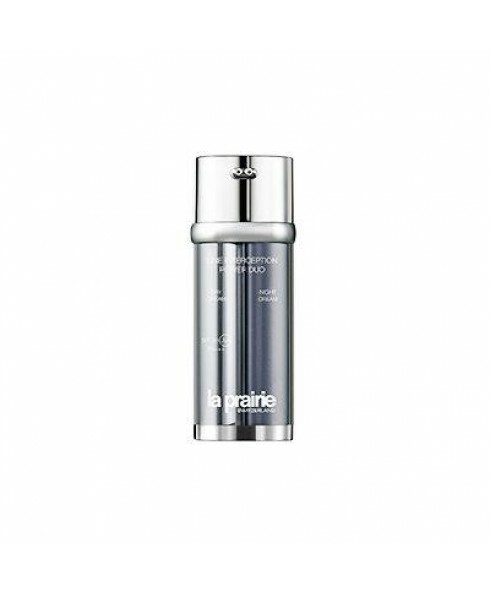 Two distinct creams, one for day and one for night, in two breakthrough formulas. In two weeks, a marked difference. 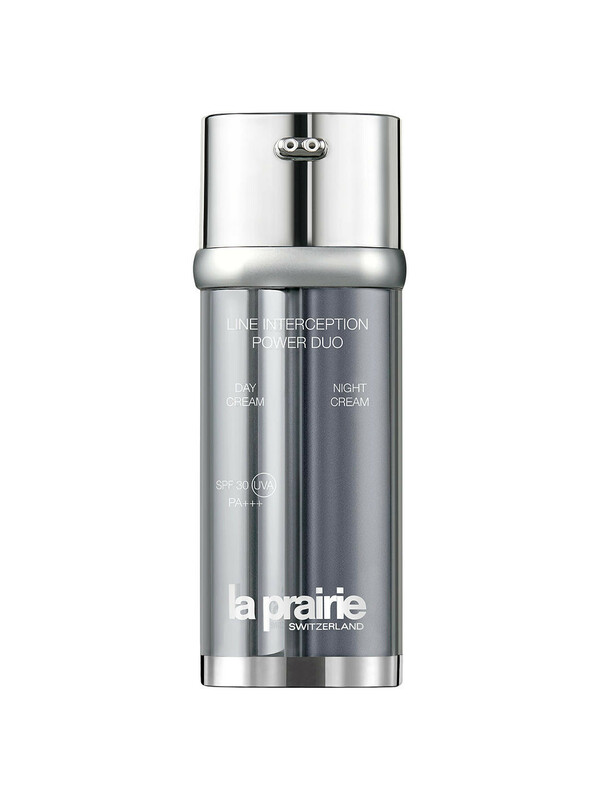 During the day Line Interception Power Duo-Day aims to inhibit the creasing that causes persistent expression lines over time. 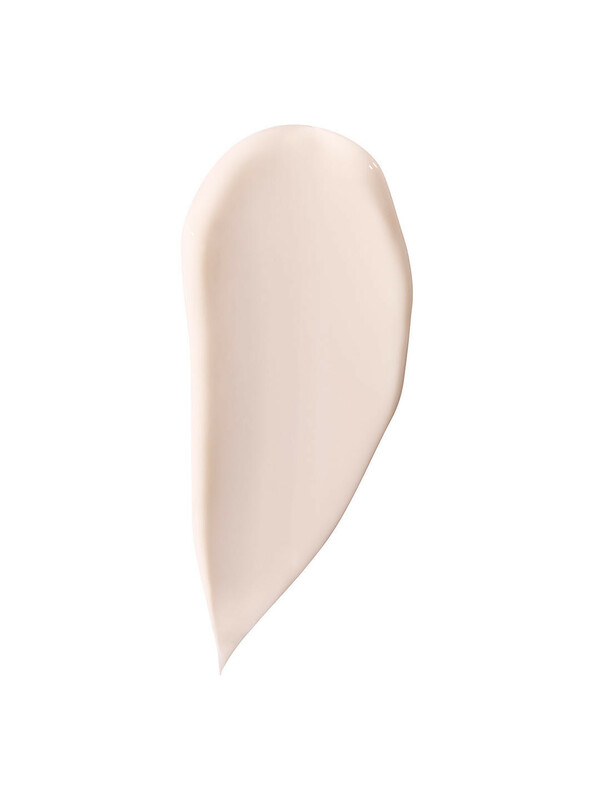 The light pink formula also protects skin from UVA, UVB and harmful infra-red rays. During the night Line Interception Power Duo-Night targets the most pronounced lines, especially the hard-to-smooth vertical lines that come with age and gravity. Two separate chambers are at the core of one sleek object. Designed with archetypal Swiss minimalism, Line Interception Power Duo was conceived for a precise application process. Its anti-leakage locking mechanism guarantees worry-free travel and an optimised distribution system.